It was a dilemma, but a mild one as it goes. I heard via Facebook that one of the Intrepid Junior Blogger's favourite bands was coming to town on March 23rd. I thought that date looked familiar, though, and when I checked I realized it was in fact the same night as the annual Northern Lights Health Foundation Spring Fling. I say it wasn't really much of a dilemma, though, and that's for two reasons: a)whatever the IJB wants always takes priority, and b)while I enjoy a good gala I am a rock concert girl at heart, and have been since I was a very young adult. 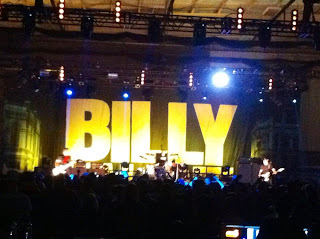 And so one morning I woke the IJB up with the news that Billy Talent Band was going to touchdown in Fort McMurray - and I had tickets. The IJB is actually the one who introduced me to the music of Billy Talent Band. We have eclectic music tastes in this house, ranging from punk rock to classical (and I don't just mean the IJB - I have a long history with punk music but I'm digressing here - I'll only say I grew up in the 80's, wore a lot of safety pins, and had very funny coloured hair for many, many years). When she played Billy Talent for me I liked them - a lot. They are Canadian, they are fast, they are talented, and the lead singer's voice has this amazing raw quality that both the IJB and I adore. And that's how she and I ended up at the Keyano Syncrude Sports and Wellness Centre on Saturday night. 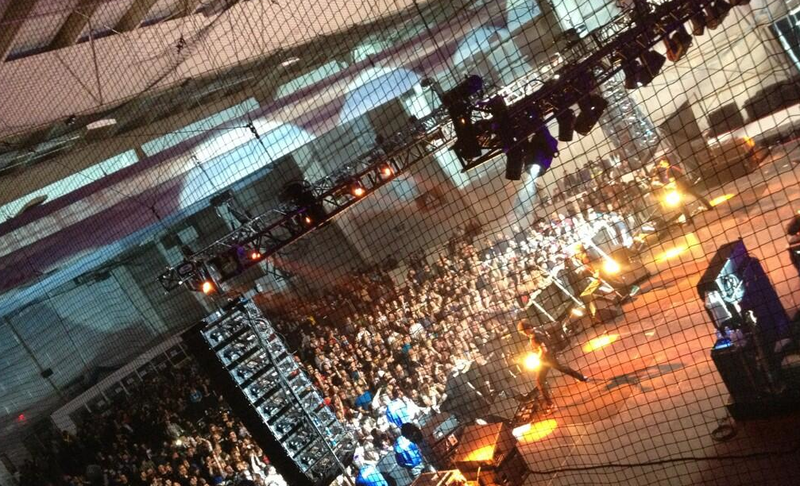 Now, the Keyano Centre has held many events and galas, but this was, I believe, one of their first rock concerts. It's a tough concert to start with in terms of organizing, because it was an all-ages event with a beer garden, a VIP section, and a crowd with a wide range of ages. I will say they did a pretty good job, although there were some hiccups. Having to go through a security pat-down every time you went to the bathroom was tedious, and no one really wants to get patted down more than once, or wait in line to do so after you've already been through security. I told the IJB that if she needed to go she better find a corner because I had no intention of going through security for a pat-down twice, and she quickly agreed since she had been patted down too and didn't exactly enjoy the experience (in fact she looked at me a bit peevishly afterwards and darkly commented that she didn't think strange adults were supposed to touch children that way). I felt a bit sorry for the beer garden crowd, because they were pretty far back in the field house and away from the stage. And frankly the hallway coat check was a nightmare, fine when coming in to the venue but horrendous when leaving, creating a clogged hallway that was virtually impassable (and in my opinion a risk if you needed to evacuate quickly for some reason). However, on the whole the venue did quite well, especially since I suspect they might have been a bit nervous about the whole thing since this was very different from the usual gala crowd. 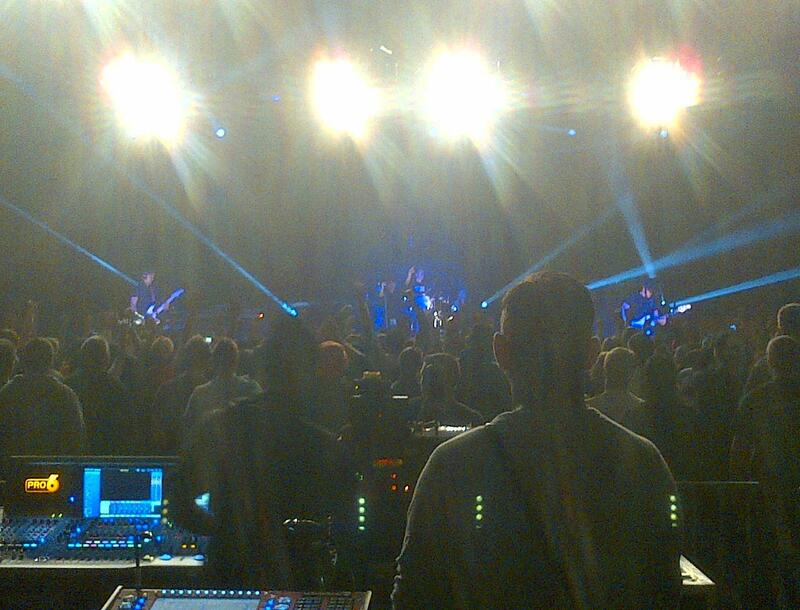 I will say the stage security impressed me deeply with their professionalism, and I will explain why. We arrived early, because the IJB is only thirteen and in order to see the stage she needs to be at the front. We parked ourselves close to the stage, just off to the side, and very early in the evening the head of stage security came by to tell me that if things got ugly in the pit that they would pluck us out and deliver us to safety. I was genuinely appreciative of this, although a little bemused too as the IJB is more likely to start the body surfing despite her mild appearance. And as for me, well, I have been in "mosh pits"well before they were called that and fending for myself at concerts for decades. That conversation made me realize though that the security was excellent, and so they were through the entire show, keeping the peace and still allowing the crowd to enjoy the concert. And what a concert it was! First act Indian Handcrafts was a duo, two guys with a very interesting sound, and one that both the IJB and I found perfect for setting the evening into motion. Next was Hollerado, a band that is hugely energetic and entertaining. Then it was time for Sum 41, and a flawless performance. This band is tight, from the guitar riffs to a lead singer who manages to whip the crowd into a little frenzy of excitement. There was one amusing moment during these opening acts, too. You see there was this teenage boy who started slamming into the IJB (on purpose, it seemed) and who received a hip-check from some lady with red hair, a hip-check that sent him careening the other way (and I won't comment on the lady with red hair except to say that messing with the IJB is always a bad idea, especially when her mother outweighs you, outsmarts you, and was slamming with punks before your parents were born). All hip-checking aside the three opening acts were perfect for getting the crowd ready for headliners Billy Talent Band - who basically took the stage and blew me away. 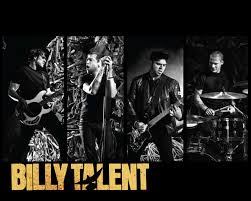 I knew I liked Billy Talent for their music, but their live performance is just absolutely stellar. Personable, funny, talented, and really, really, really hot, these guys pretty much propelled the crowd into the stratosphere. There was body surfing, and there was a whole lot of jumping (me included). There was singing along, and there was a lot of screaming. The IJB was hopping, I was hopping, the whole crowd was bouncing, the smell of marijuana was in the air (although stamped out quickly by the alert security - look, people, it's present at rock concerts so if you are shocked by this revelation then you probably shouldn't go to one, okay? ), and it had a very, very true rock concert feel. Being patriotic Canadians they even dedicated a song to Stompin' Tom Connors, a touch I thought was particularly lovely since they did it despite some of the younger set in the crowd being unlikely to know (or care) about dear departed Tom . 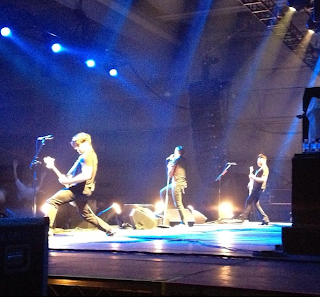 By the time Billy Talent left the stage for good (after a smashingly good encore set) the IJB and I were completely deaf, sweaty, and starving. We went to the coat check and fought for our coats (and once again the hip-check came in handy here), and escaped into the cool evening air. As is our usual post-concert custom we headed to McDonald's and indulged in fries and burgers and excited talk about the amazing concert we had just seen. And it was amazing - perhaps the best concert I have ever seen here, and, according to the IJB, the best she has ever seen, period.